Diane Keaton is a versatile name in Tinsel town. She is an award winning, American film actress, screenwriter, producer and director. Keaton started her career fro stage and made her first screen debut in 1970. Additionally, she always wanted to be a singer. She had a small career as a recording artist in 1970s. Till now, she is active in Tinsel now following her other career lines. A birth chart (also known as kundli, janma kundali, or horoscope) is a map of heaven at the time of birth. 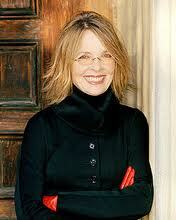 Diane Keaton's birth chart will show you Diane Keaton's planetary positions, dasa, rasi chart, and zodiac sign etc. It will also allow you to open Diane Keaton's detailed horoscope in "AstroSage Cloud" for research and analysis.